Turner Classic Movies and Fathom Events are about to begin a film series in celebration of Universal's 100th anniversary with special movie theater presentations of four newly restored Universal classics. 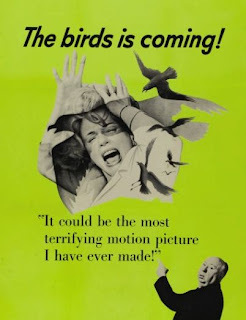 On Wednesday, September 19, "The Birds is coming" - again - and Alfred Hitchcock's 1963 thriller will screen in select theaters around the country at 7pm local time. Oscar-nominated for special effects, the film is arguably Hitchcock's last great classic. TCM's Robert Osborne will provide an introduction and present an interview with the film's leading lady, Tippi Hedren, who shares her memories of working with Hitchcock and filming The Birds (1963). Archival TCM footage of Hedren's co-stars Rod Taylor and Suzanne Pleshette are also included. Next up, in a spectacular lead-in to Halloween, is a double feature on Wednesday, October 24, of two James Whale horror classics, Frankenstein (1931) and The Bride of Frankenstein (1935). Again, TCM's Robert Osborne will introduce the films and will also present interviews from the 2012 TCM Classic Film Festival with Boris Karloff's daughter, Sara, Bela Lugosi's son, Bela, Jr., and Oscar-winning make-up artist Rick Baker. Show time is 7pm local time. On Thursday, November 15, TCM, Fathom and Universal will celebrate the 50th anniversary of the heartwarming and thought-provoking To Kill a Mockingbird (1962), a powerful drama nominated for eight Academy Awards and winner of three. Directed by Robert Mulligan and based on Harper Lee's Pulitzer Prize winning novel, the film stars Gregory Peck in an iconic Oscar-winning performance and features future Oscar-winner Robert Duvall in his first credited screen role. Included in the presentation is an introduction by TCM's Ben Mankiewicz who will share archival interviews with many who took part in the production. 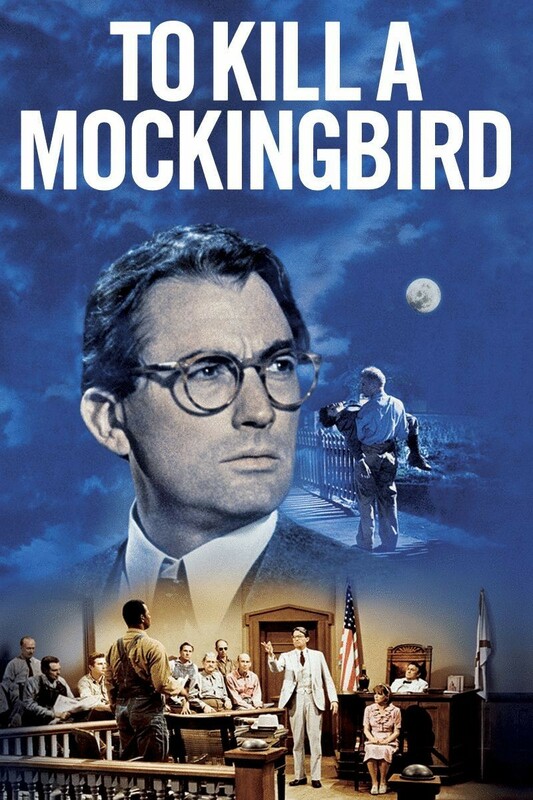 Screening of To Kill a Mockingbird begins at 7pm local time. In addition, Fathom Events is partnering with Sony Pictures Entertainment to bring Lawrence of Arabia 50th Anniversary Event: Digitally Restored to the big screen on Thursday, October 4. Nominated for ten Academy Awards and winner of seven including Best Picture, the film was directed by David Lean and stars Peter O'Toole and Omar Sharif. Special features include introduction of the film by the Oscar-nominated Sharif, newsreel footage of the film's original New York premiere and a discussion of the film by Oscar-winning director and film restoration champion, Martin Scorsese. 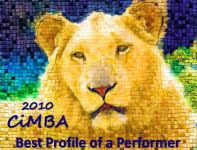 Show time is 7pm local time. Tickets for all four events are on sale now. Click here for more information on each special screening and links to state-by-state listings of participating theaters. 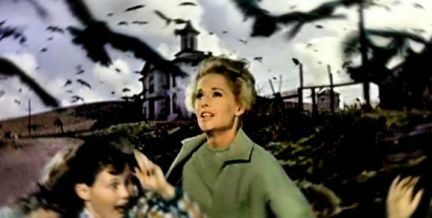 The Birds is the scariest film I've ever seen! Hitchcock really knows how to play with your mind! Emma, Over the last couple of years, the TCM and Fathom special event screenings have drawn large, enthusiastic audiences - so I think there will be more to come. Maybe it's time for a visit to visit the U.S. I definitely can't wait to come over!! Thank you for keeping us updated on the up and coming classic movies.. I hope to see: "The Birds'" and/or "To Kill a Mockingbird"!! Dawn, Let's hope the TCM/Fathom events continue - and if they do, rest assured, I'll be blogging about it here. It had been quite a while since I went to a multiplex movie theater. We would sometimes go to an old, renovated theater to see a less than popular (but classic) film. Pushing thru a mob of teenagers at the big theater was not something I looked forward to. With the advent of digital cinema, the restoration and distribution of some of the greatest films ever made has become much more affordable. A BIG thank you should go to TCM for all they are doing. They got me to go back to the Regal Cinema! And Eve, I hope you enjoy The Birds on the big screen as much as I did when it first came out. I was 13 years old and scared to death! I watched most of it from the lobby! My hope is to attend the TCM Classic Film Festival one of these years. I can't imagine more ideal circumstances in which to see mint-condition prints of the classics.